Trial Attorney | The Law Offices of Adam R. Banner, P.C. While the act of fraud may seem insignificant at the time it is committed, this little white lie can quickly lead to serious criminal charges. In fact, it doesn't even have to be an outright lie. Not fully disclosing information can also be prosecuted as a crime if it leads to financial advantage or personal profit at the expense of another person or business. The intentional act of deception carried out for personal gain. It is a criminal offense. In addition to criminal charges, the victim may be able to pursue a civil claim against the perpetrator. One of the most pervasive types of crime is healthcare scams. Some scams can be perpetrated by patients, but most often they are committed by physicians attempting to collect money for medical services that were never rendered. Since Medicare is a federally administered program, Medicare fraud is a federal offense. SoonerCare is Oklahoma's state-run program and crimes committed within this system are also pervasive. For more information on Medicare crimes check out this link. 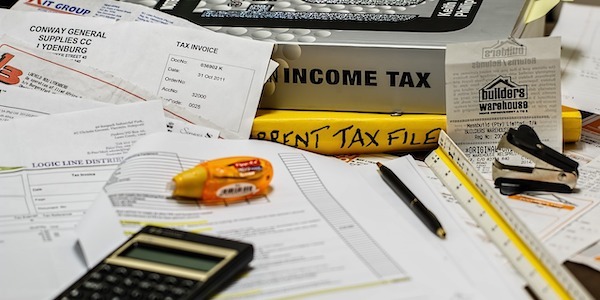 While it is common for individuals and businesses to make errors when filing their taxes, a pattern of errors can be identified by the IRS (Internal Revenue Service) as attempts to defraud the federal government of tax receipts. This is done to either reduce taxes paid or increase the refund of the individual. Either is a serious crime. While the IRS will forgive mistakes, an intentional attempt to falsify a tax return is a federal offense and is subject to a minimum of financial penalties, and can even result in jail time. Using a computer to steal or alter electronic data, or to gain unlawful use of a computer or system is considered fraud. In the United States, these acts are specifically prescribed by the Computer Fraud and Abuse Act, which criminalizes computer-related acts under federal jurisdiction. Depending on the amount of money involved, fraud can be prosecuted as a misdemeanor or a felony. A conviction can lead to not only a permanent criminal record but the potential of prison time as well. The nature of the crime, how it was perpetrated, and who the victim was, dictates whether the charges are filed in either state or federal court. If you've been charged with fraud it is imperative that you immediately speak with a criminal attorney familiar with white collar crimes defense. Your reputation, livelihood, and possibly your personal liberty are at stake. At The Law Offices of Adam R. Banner, we have successfully defended clients facing a variety of white collar crime charges.